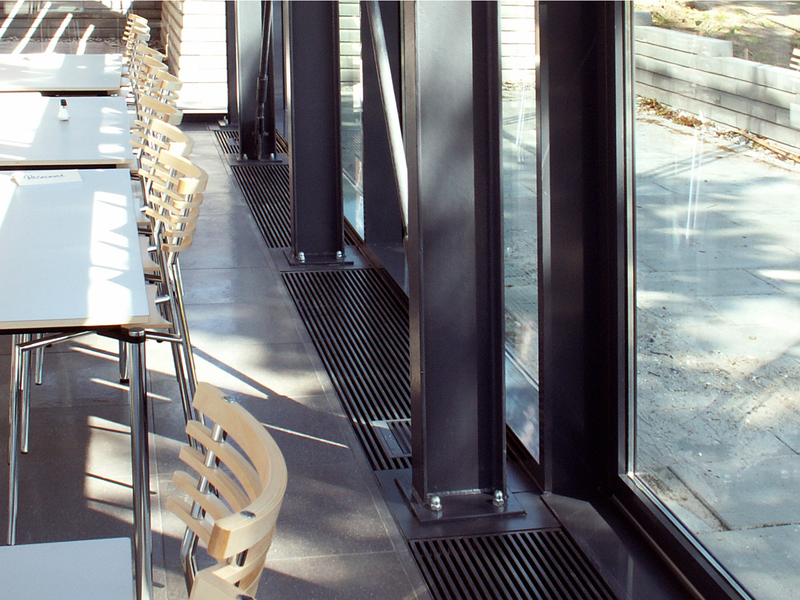 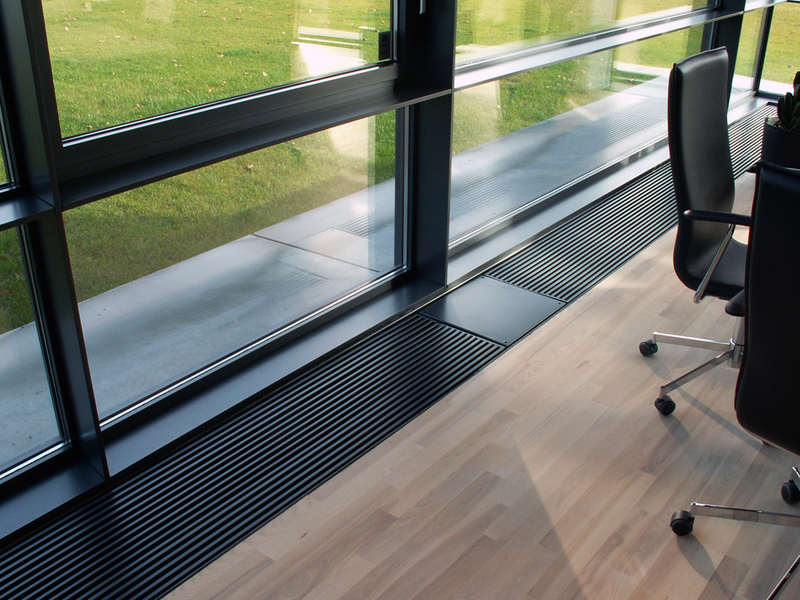 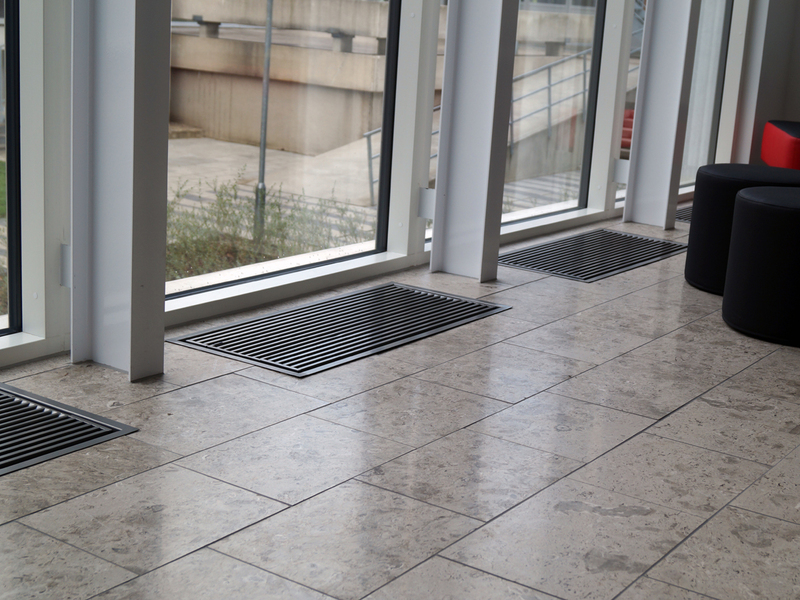 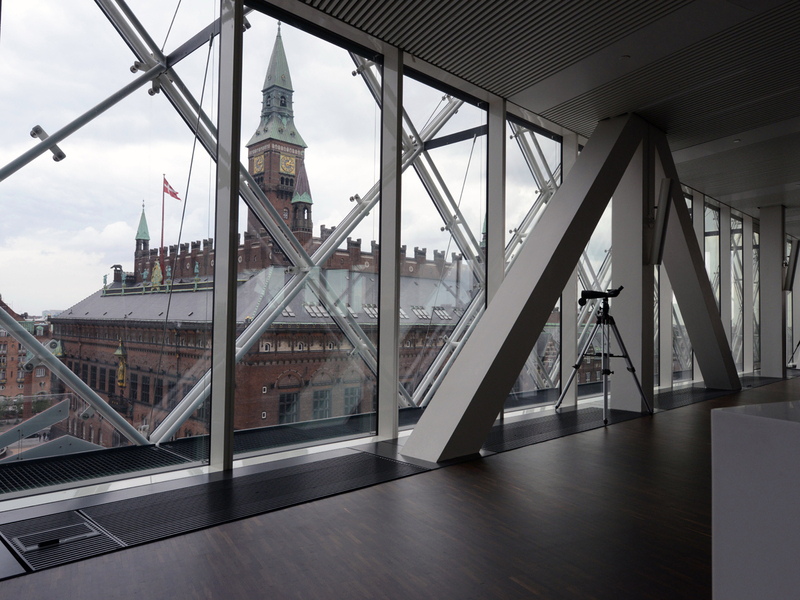 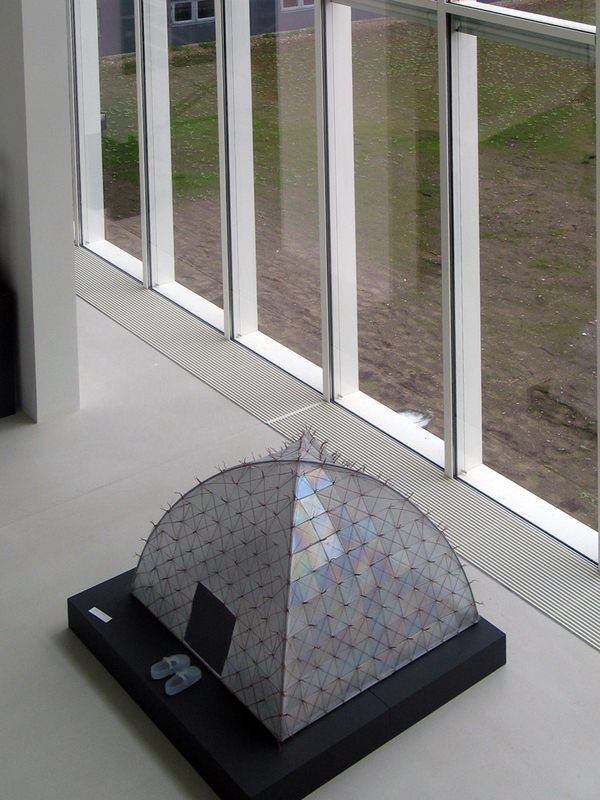 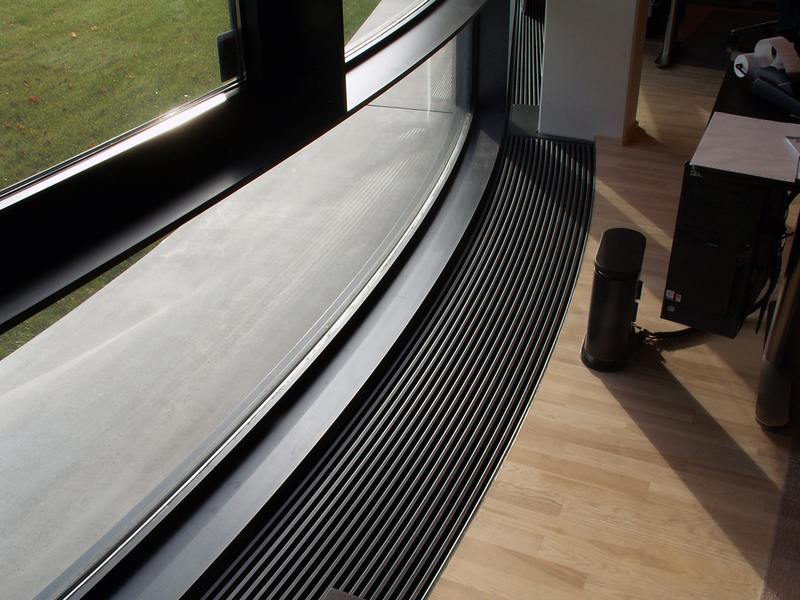 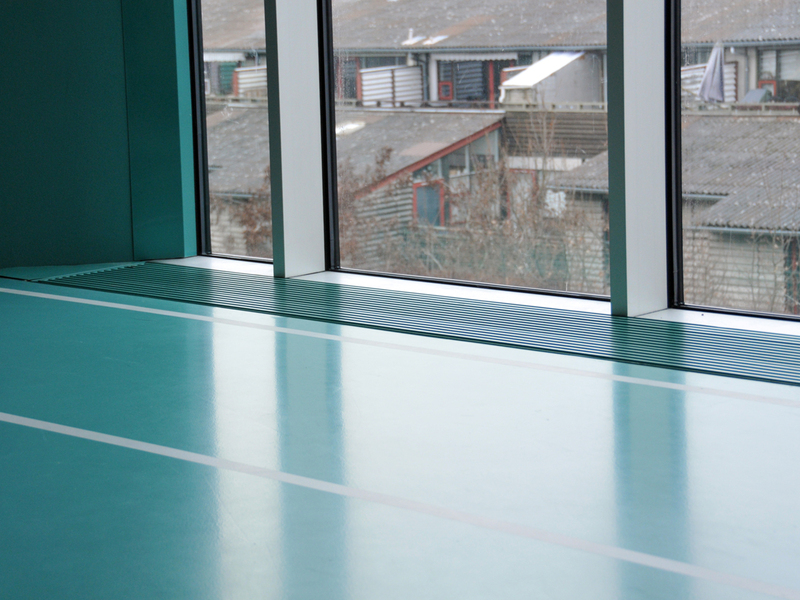 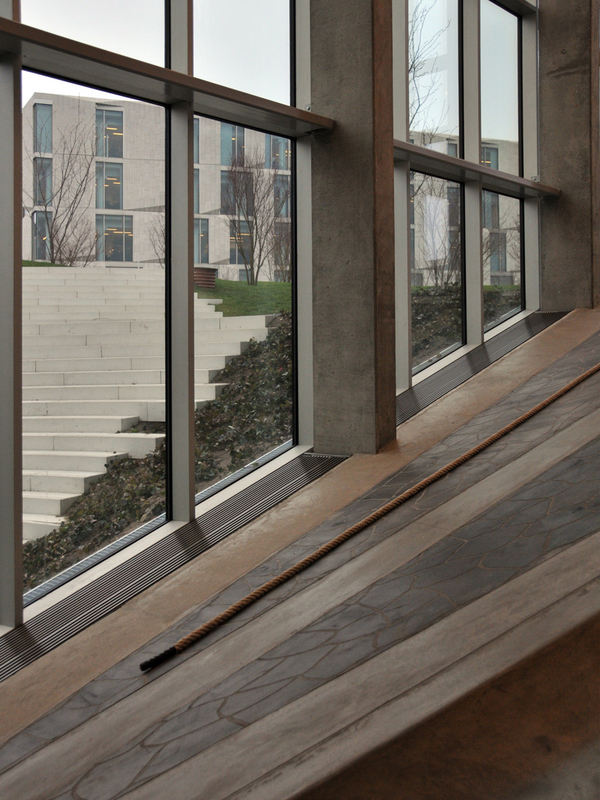 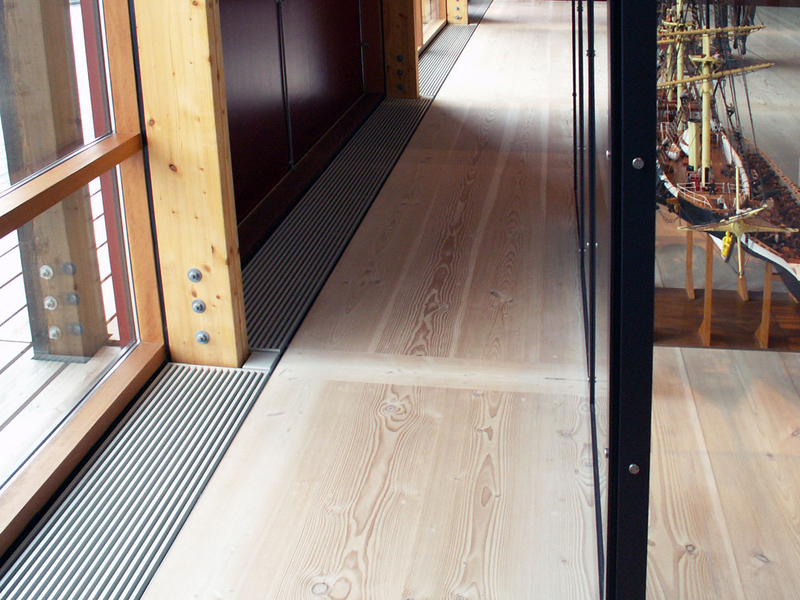 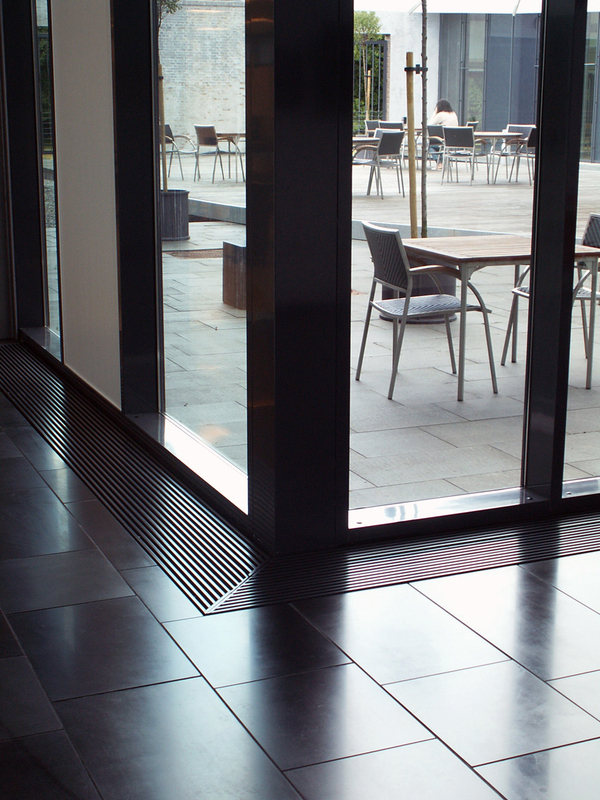 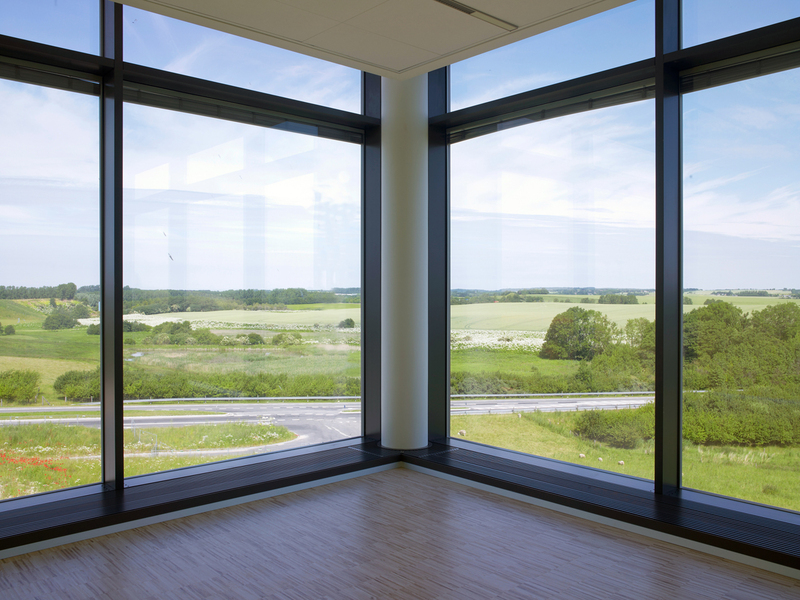 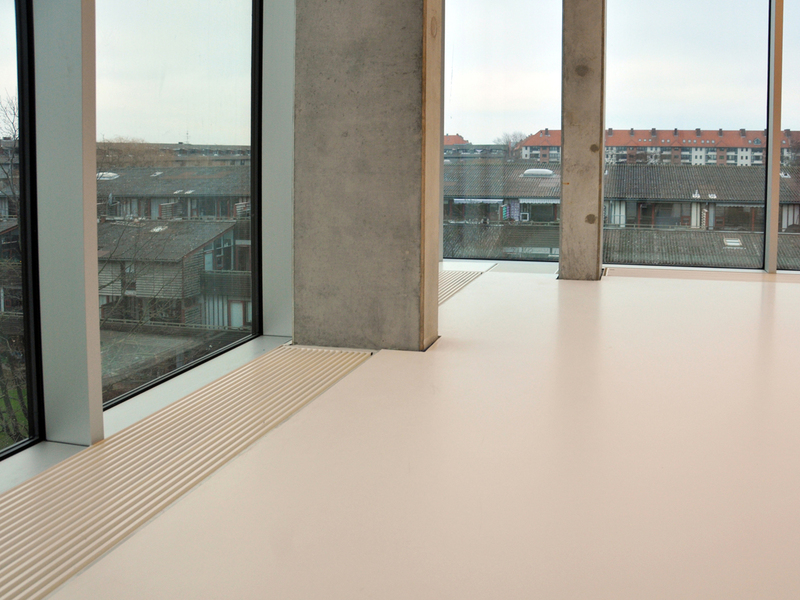 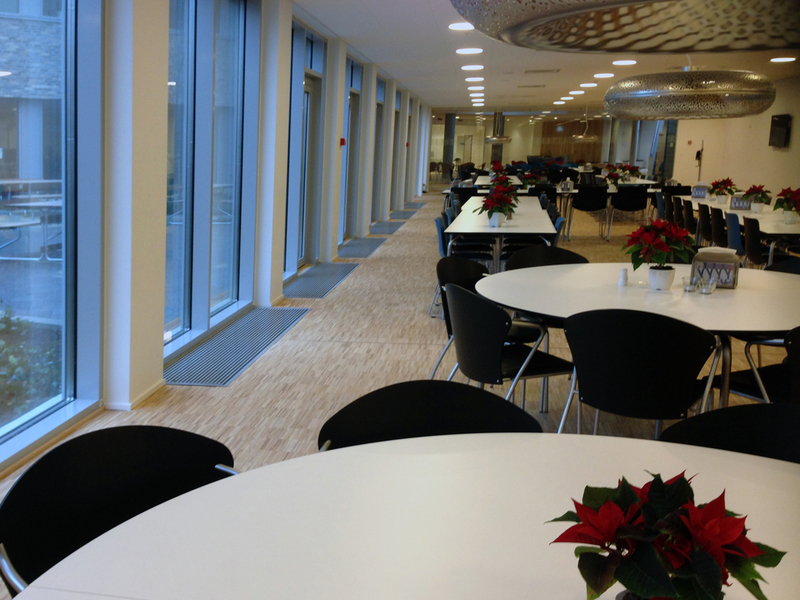 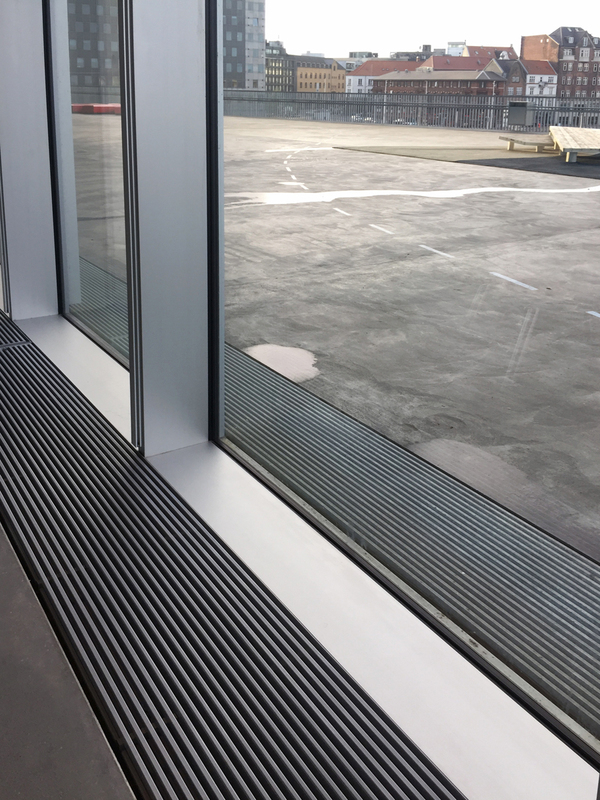 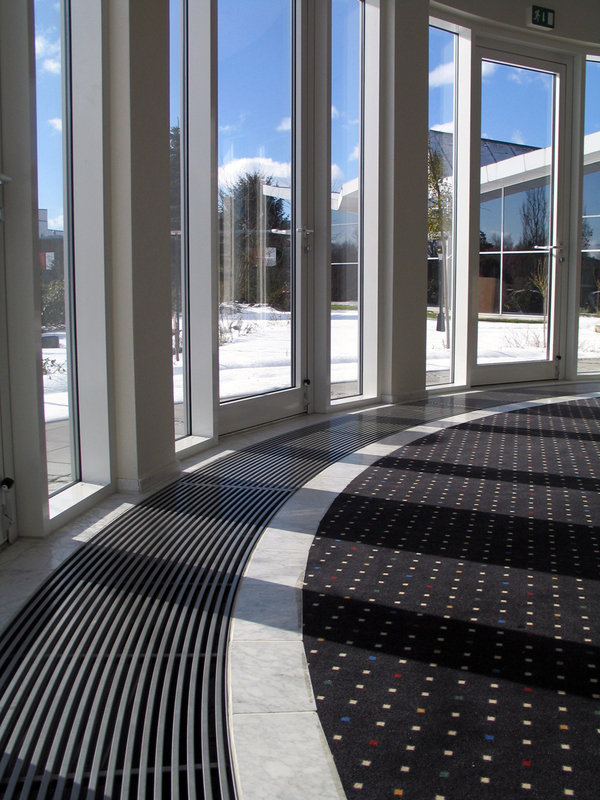 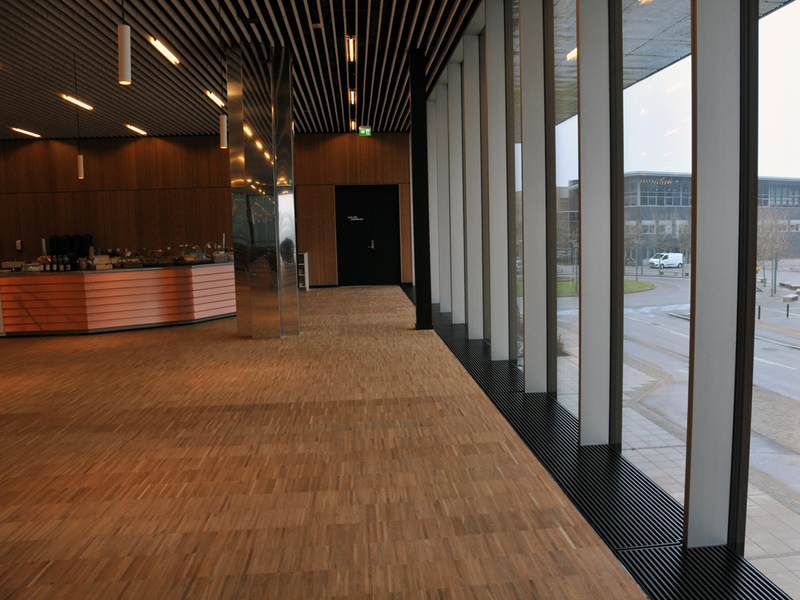 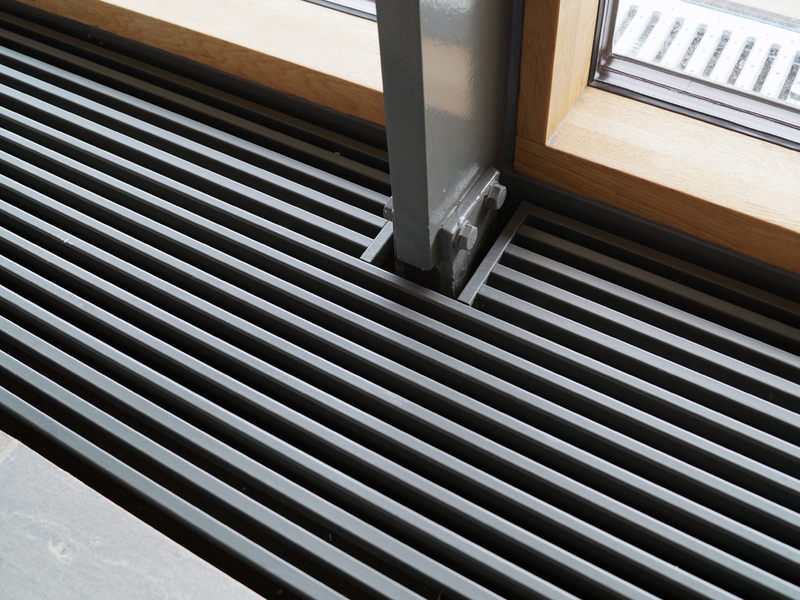 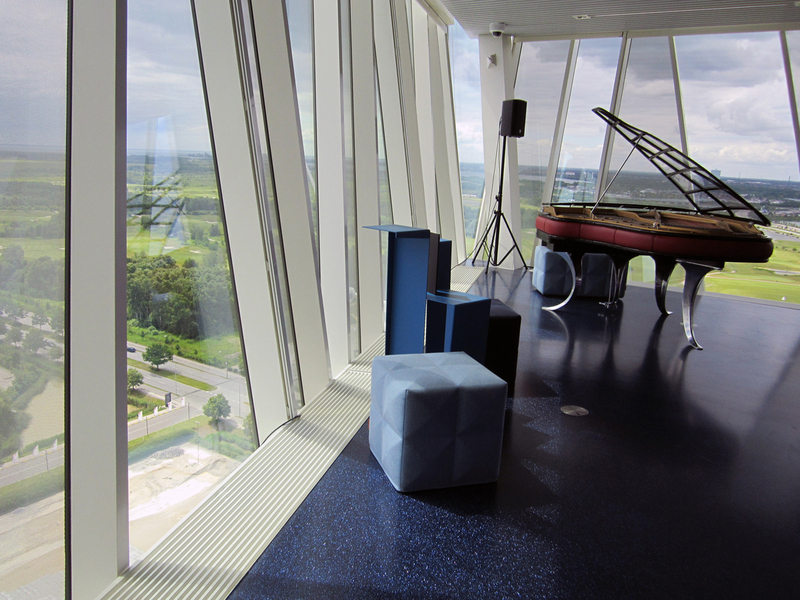 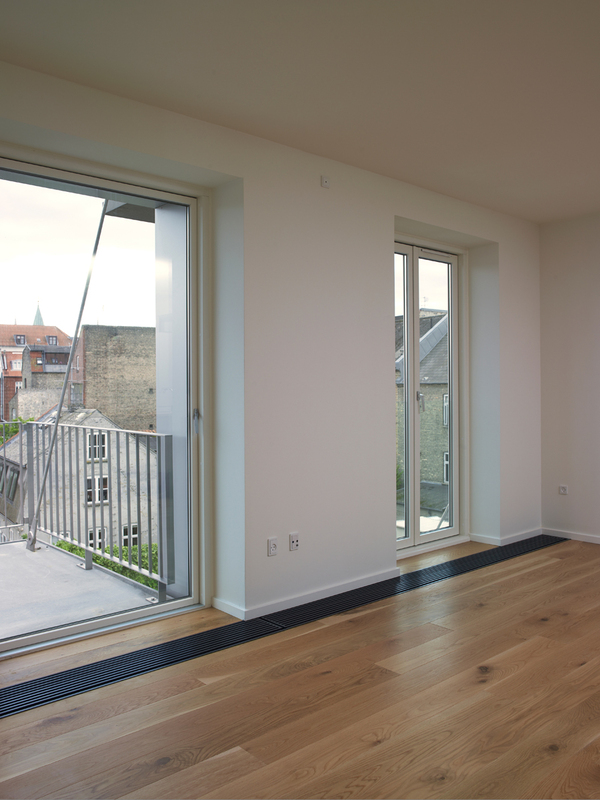 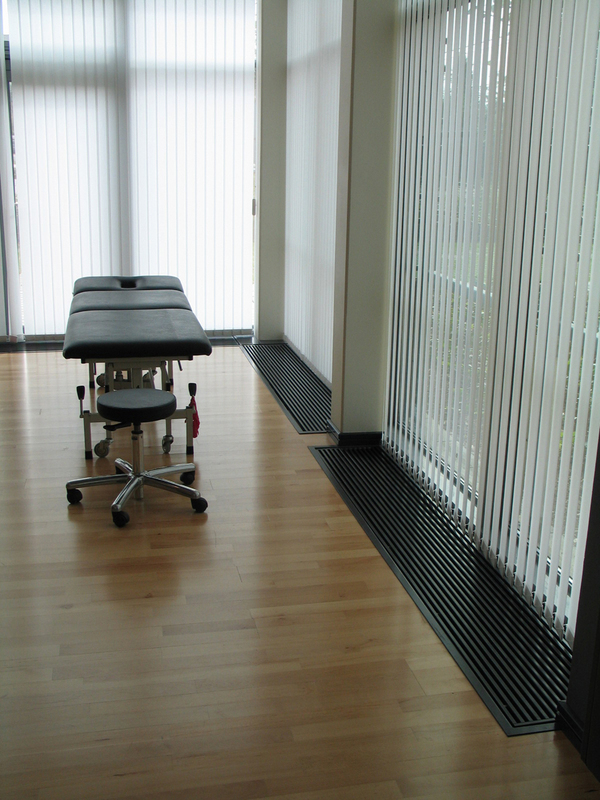 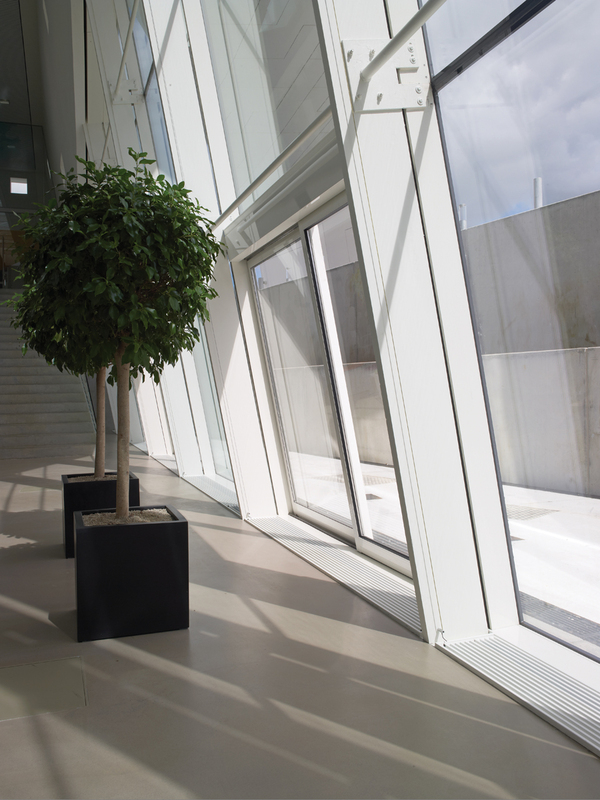 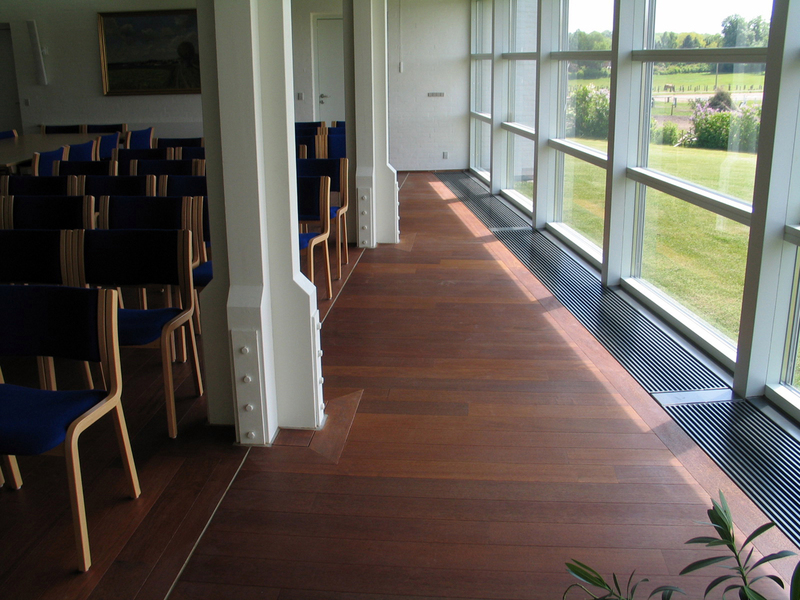 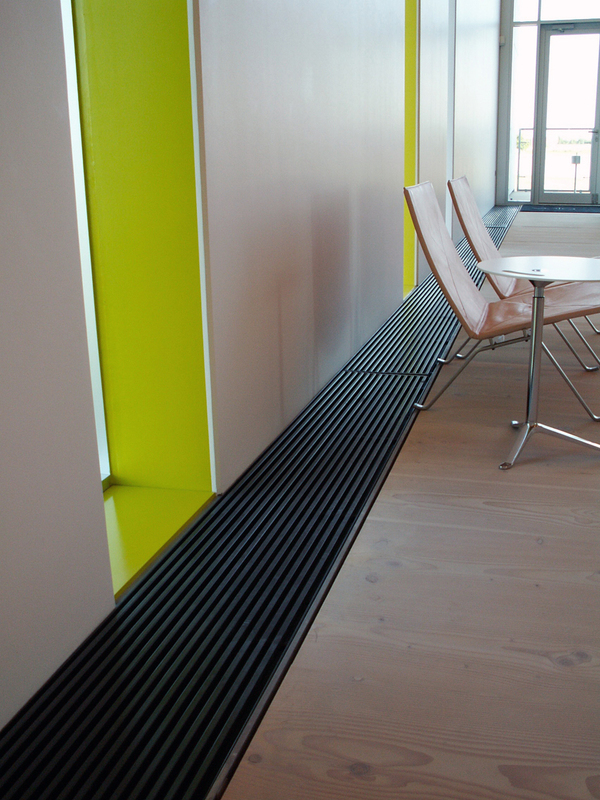 ProLine Convection Grilles are mounted in the floor in front of glazing units, protecting efficiently against cold downdraught. 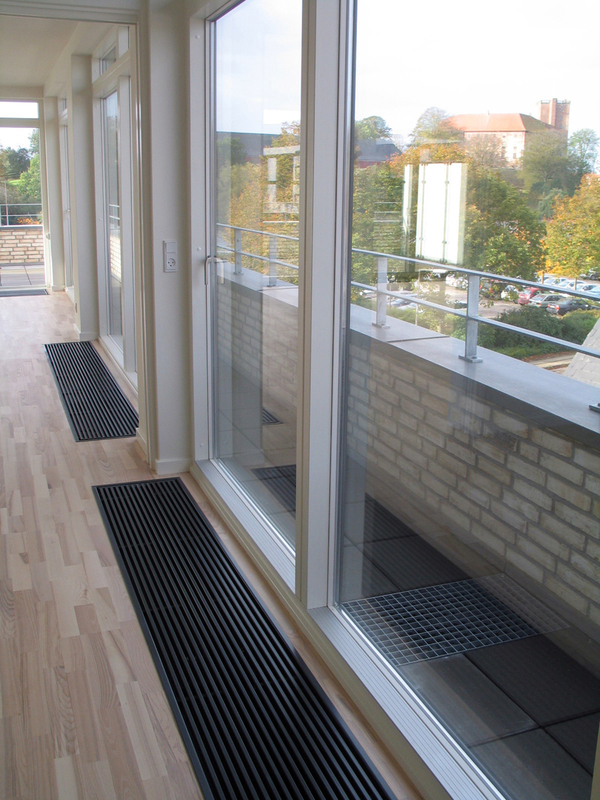 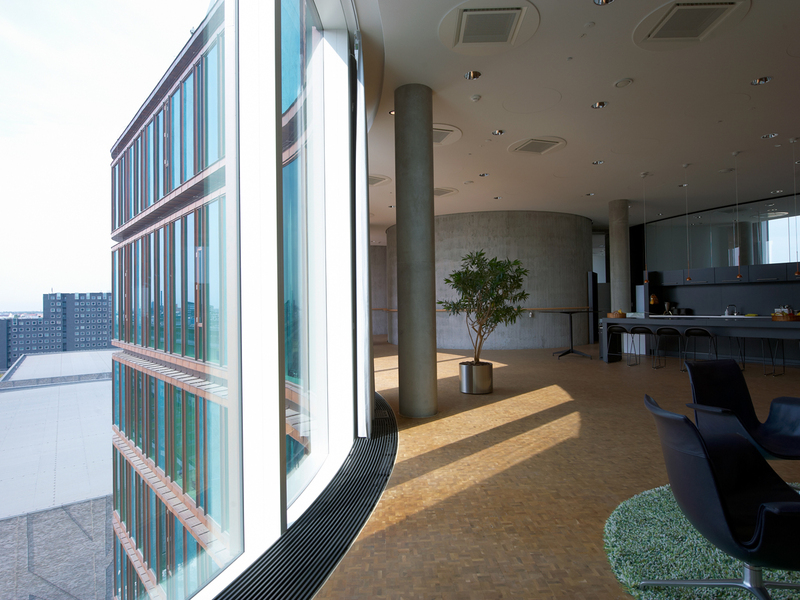 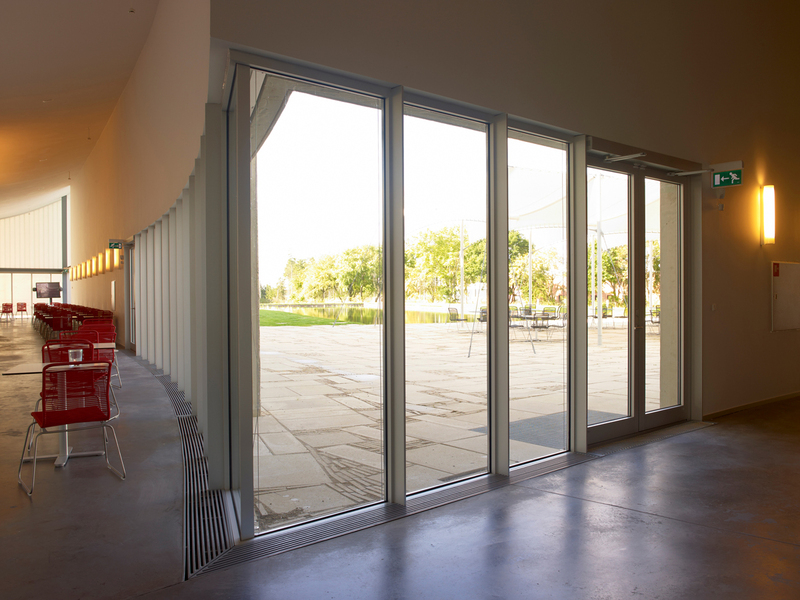 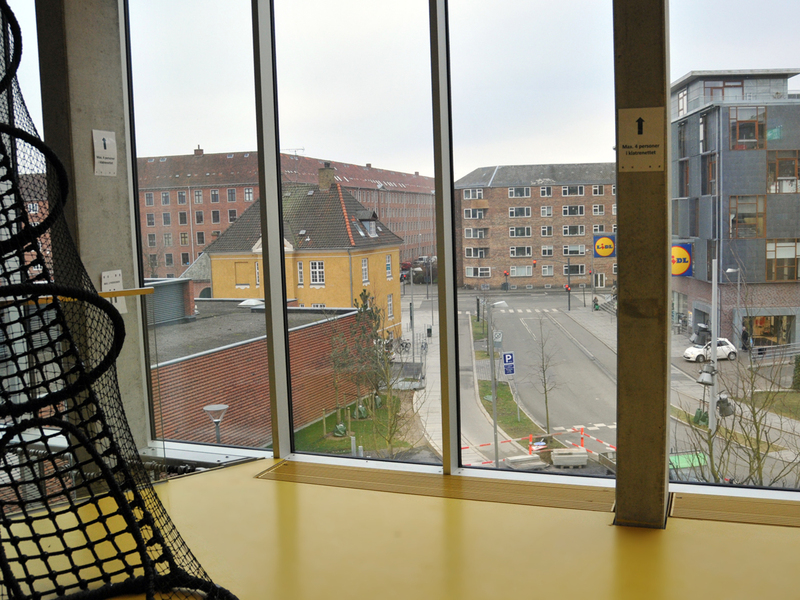 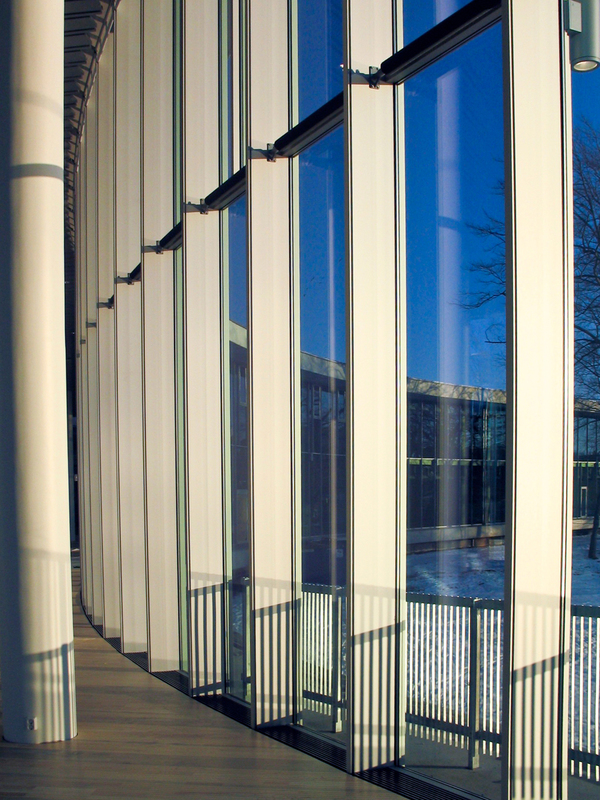 The Convection Grilles provide an unimpeded view and the minimalistic design creates a beautiful architectural solution with the glazing units of the building. 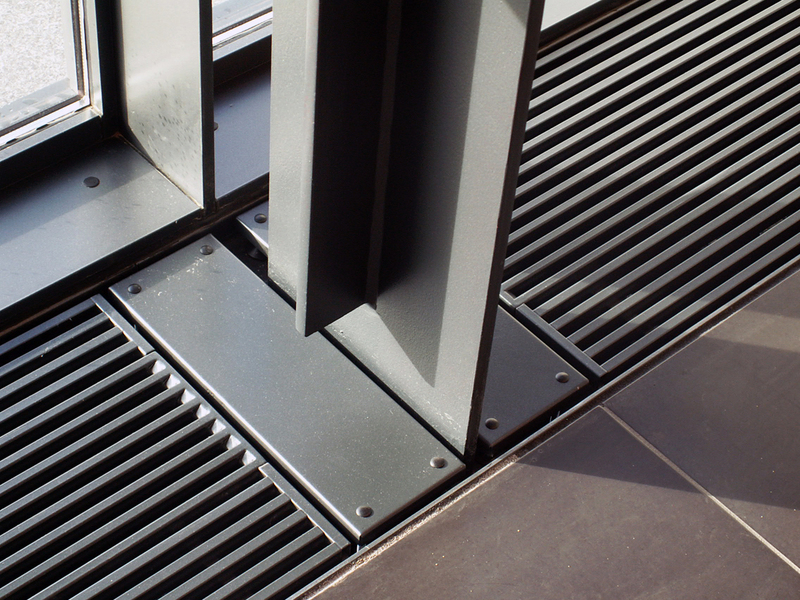 The Convection Grilles are produced with a convector section of 3 to 14 water filled ribs and 1 or 2 side grilles. 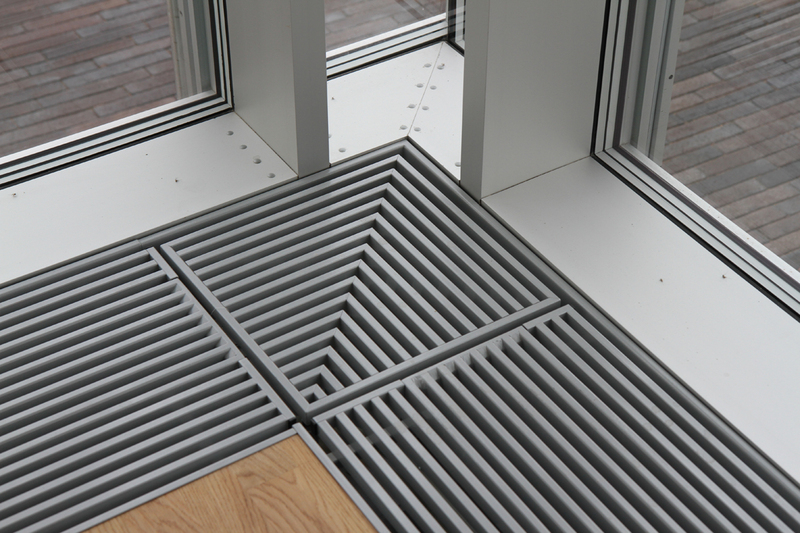 This design makes it possible to plan the solution in accordance with the output required. 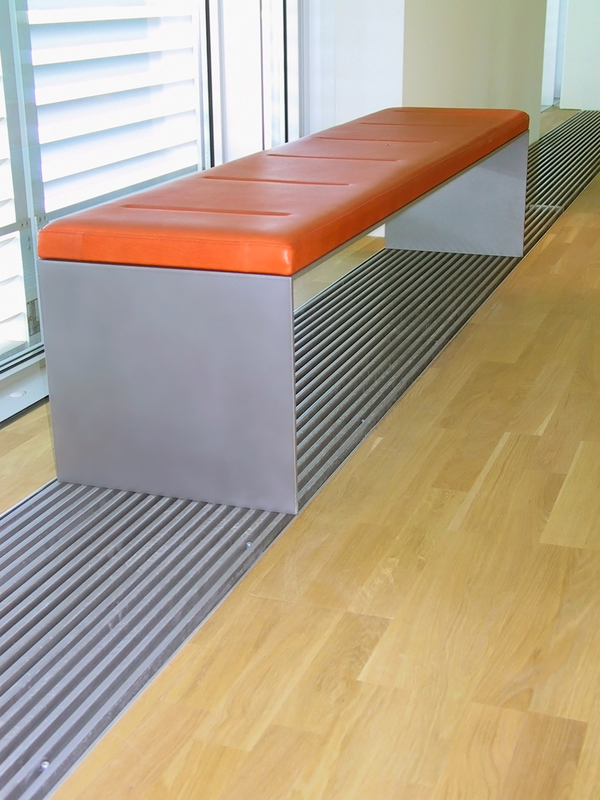 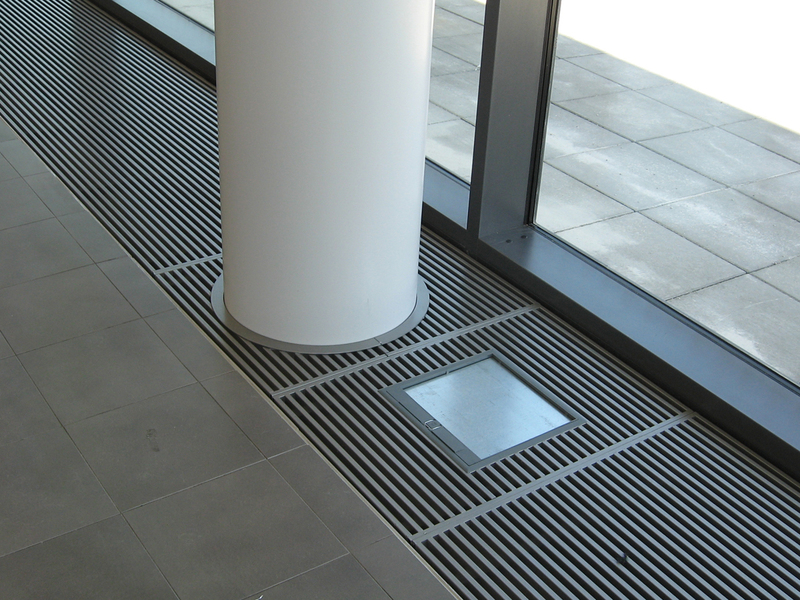 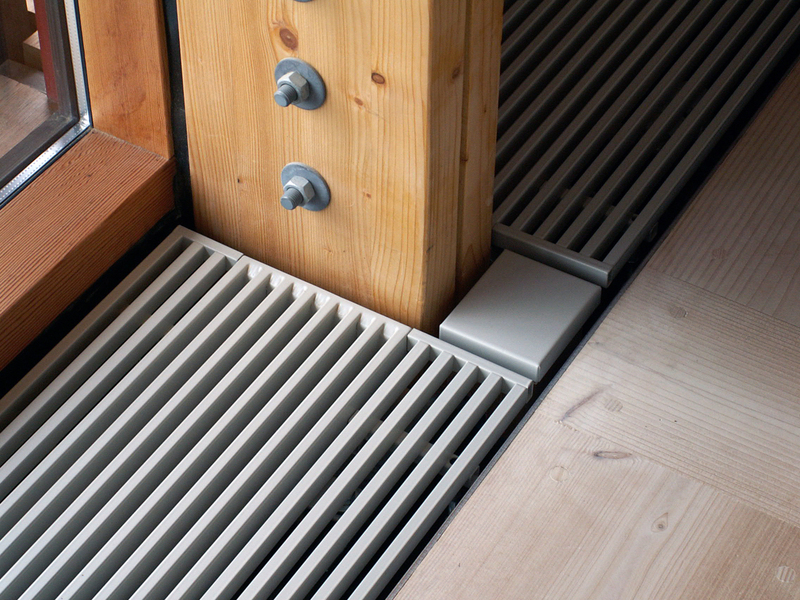 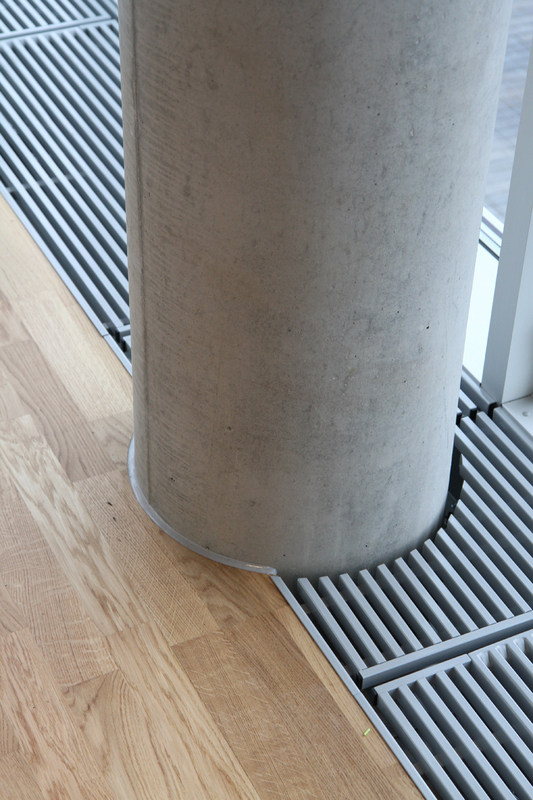 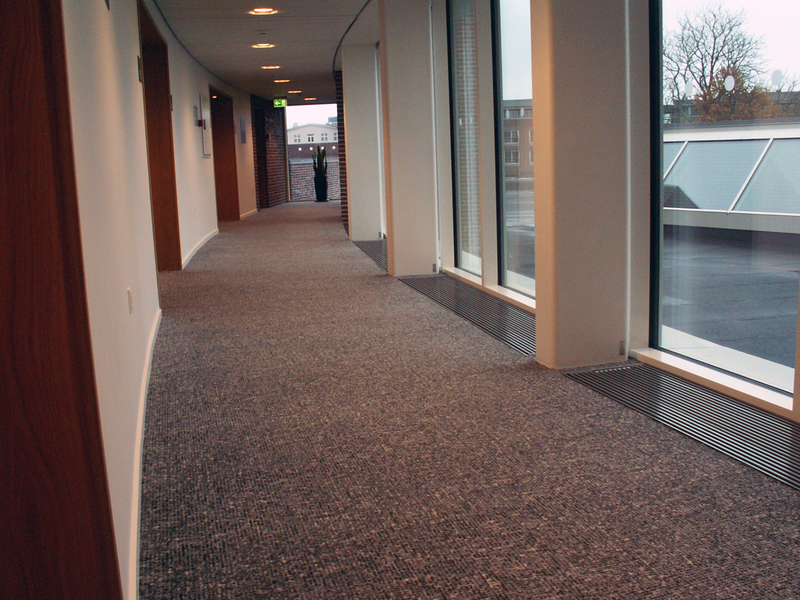 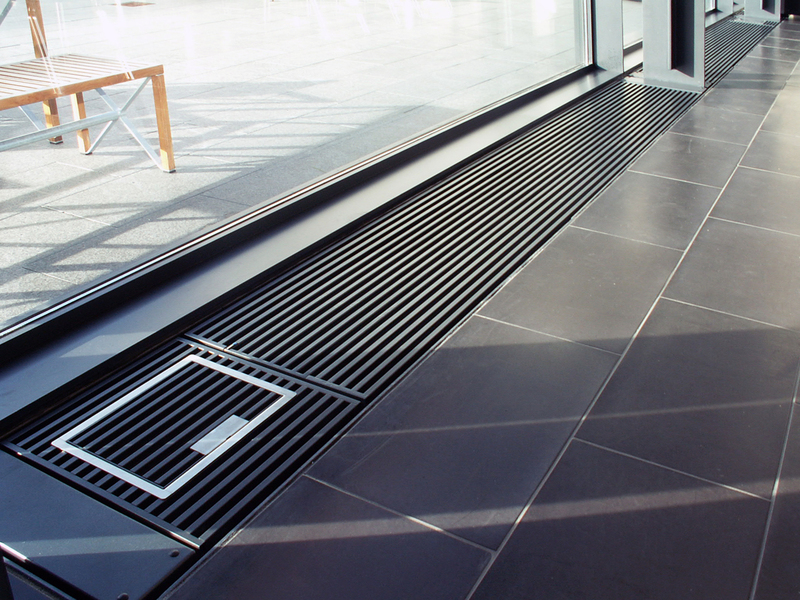 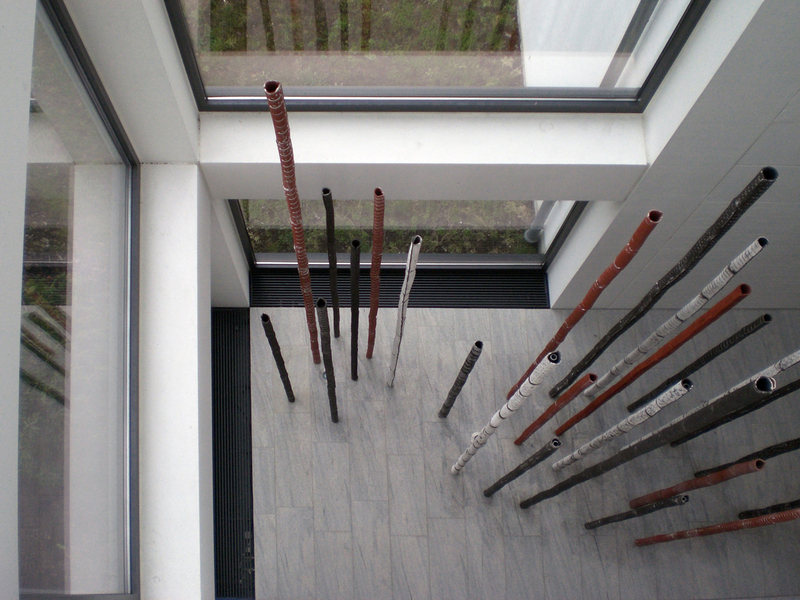 The Convection Grilles only require a trench depth of 100mm, meaning they can also be mounted in steel trenches above the floor in existing buildings. 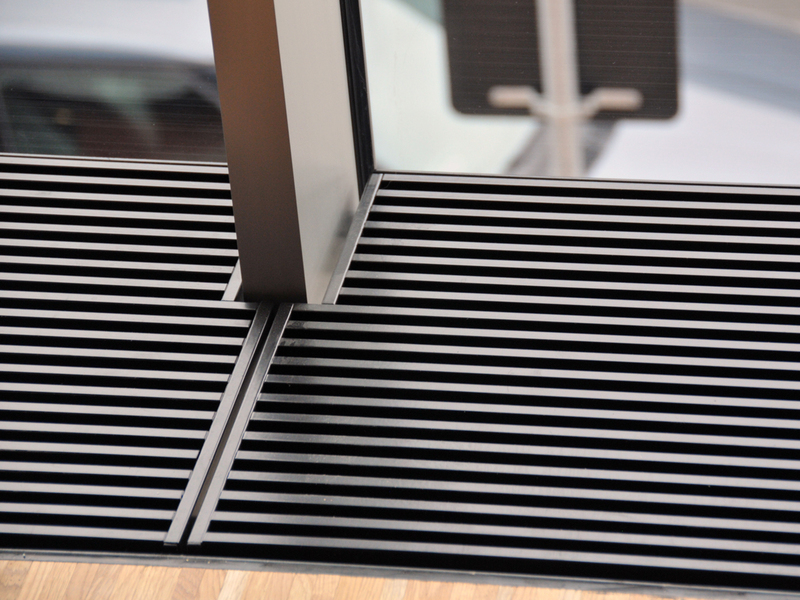 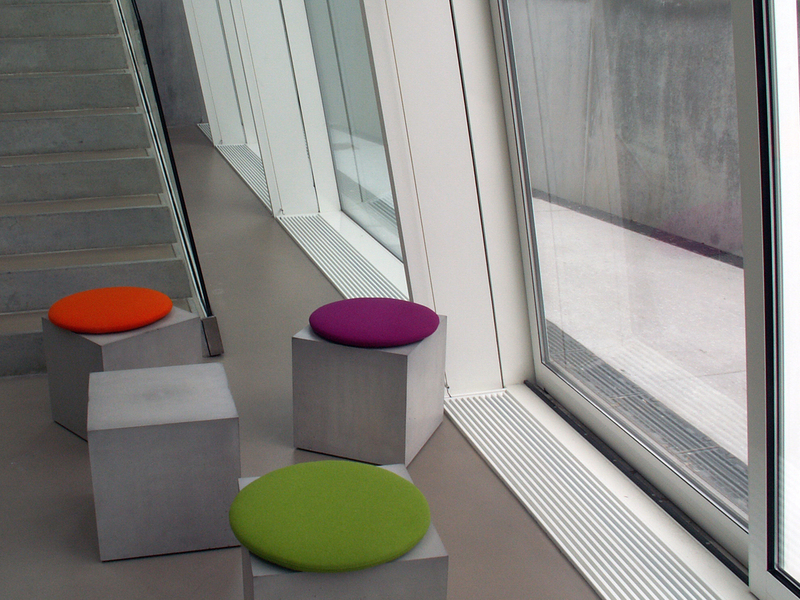 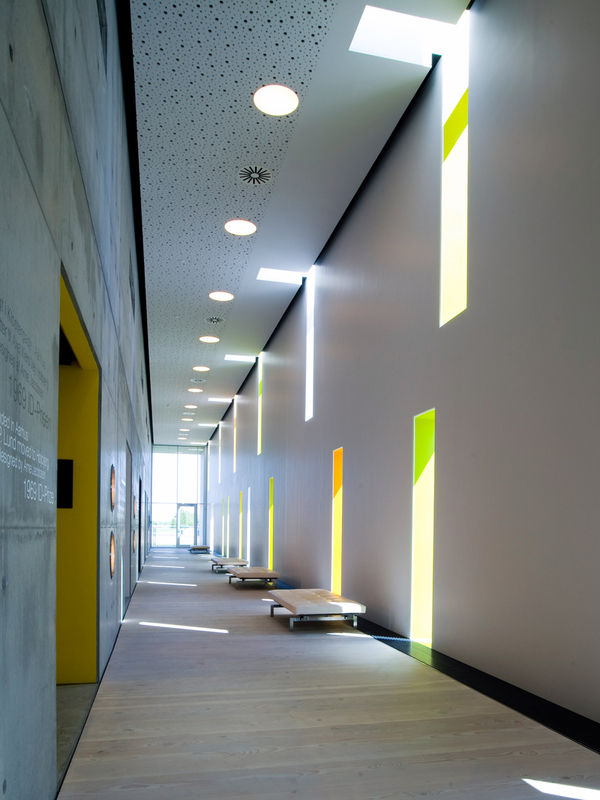 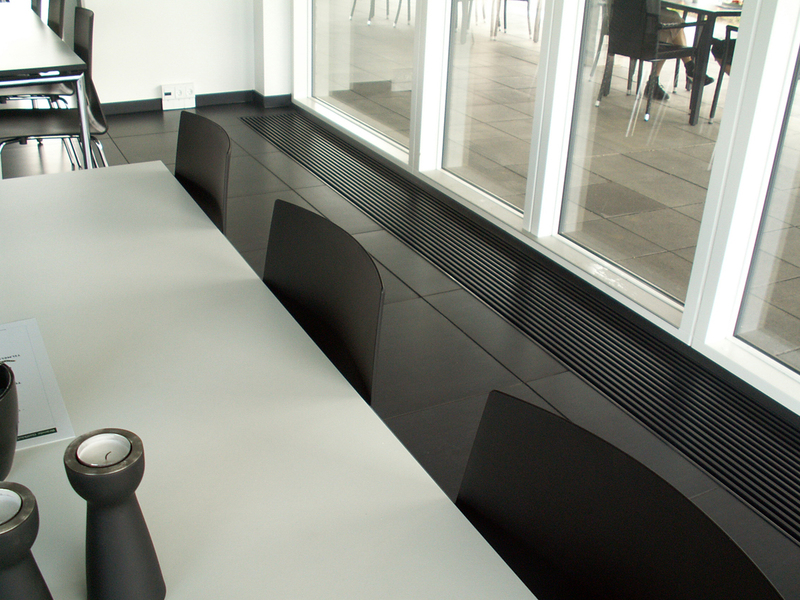 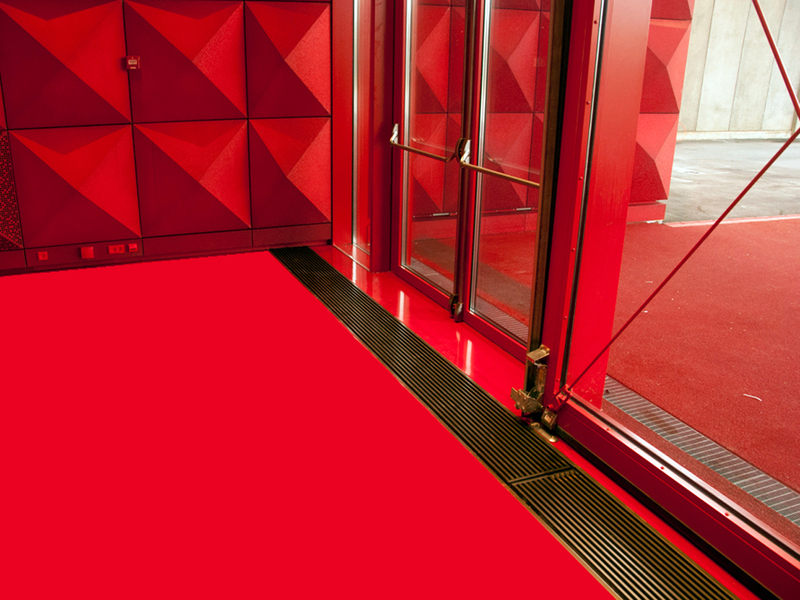 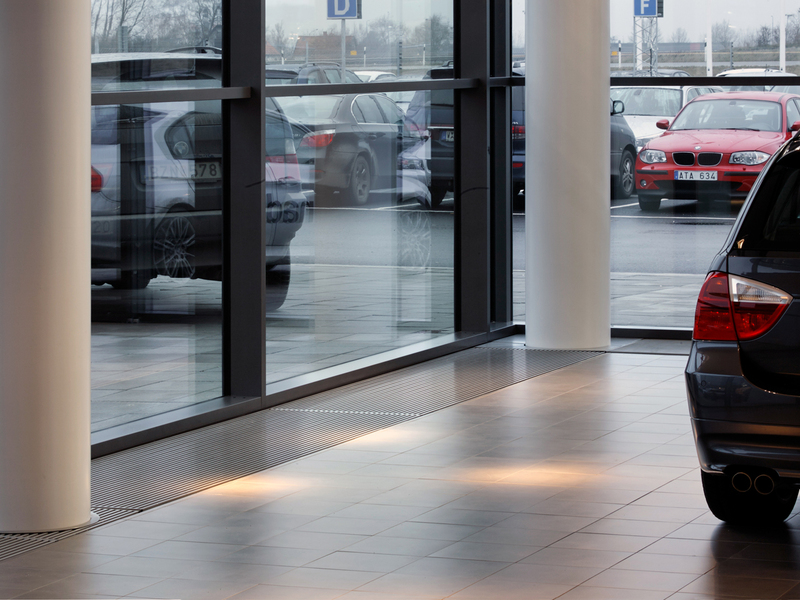 The Convection Grilles can carry up to 250kg and are delivered powder coated in all RAL and NCS colours. 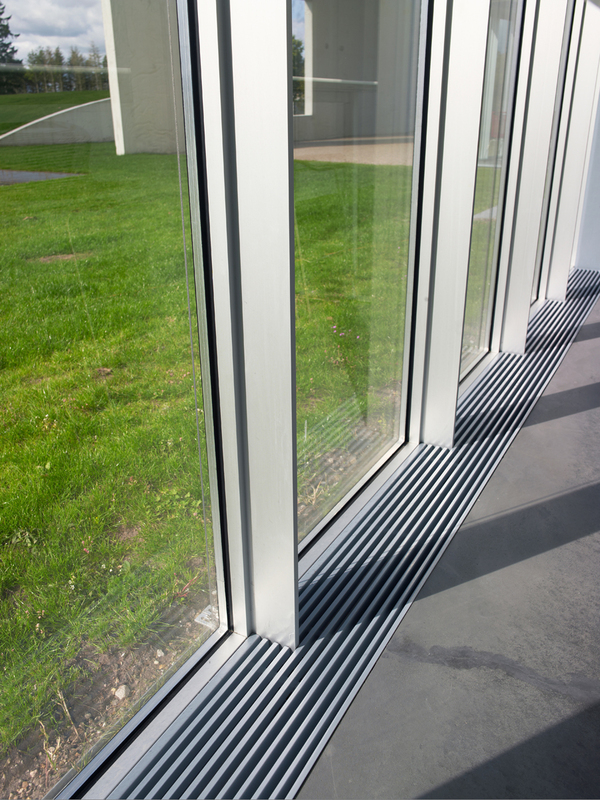 Maximum length of a unit is 6000mm.